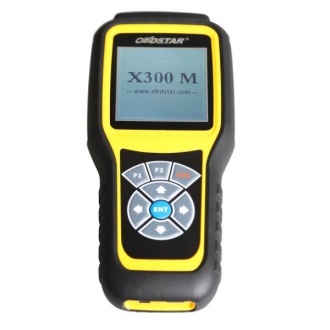 OBDSTAR X300M is another new odometer adjustment tool launched by OBDSTAR. It’s designed completly according to industrial standard.It’s easy to take away and shockproofed. AUDI/ VW/ SKODA/ SEAT, BENTLEY, BENZ, BESTURN, CHRYSLER(CHRYSLER/ DODGE/ JEEP),CITROEN, FORD, FIAT, GEELY, GM(BUICK/ CADILLAC/ CHEVROLET/ HUMMER), GMC, GREATWALL, HYUNDAI, INFINITI, JAGUAR, KIA, LANDROVER, MAZDA, MITSUBISHI, NISSAN, OPEL, PEUGEOT, PORSCHE, PONTIAC, PROTON, RENAULT, ROEWE, SATURN, SMART, SSANGYONG, VOLVO etc.